NextQ & A: Is Sleep Restriction as Bad as It Sounds? 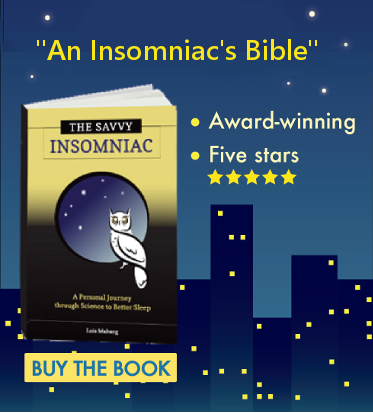 In last week’s blog I explained the rationale behind sleep restriction as a treatment for insomnia. (Here’s a link to that blog post.) Today I’ll offer a quick and dirty description of how it works. Decide on a wake-up time, and count backward to determine your bedtime. Stay up until then every night, doing whatever it takes to stay awake. Get up at the same time every morning. At the end of the first week of sleep restriction, calculate your “sleep efficiency” (percent of time in bed actually spent sleeping). Divide the total number of hours you slept during the week by the total number of hours you were in bed, and multiply by 100. If your sleep efficiency is above 85 percent (some therapists recommend that your sleep efficiency be at least 90 percent), then add 15 minutes to your time in bed during the second week. For example, if during the first week you restrict yourself to 5 ½ hours in bed and your sleep efficiency is 90 percent, during the second week of sleep restriction, you increase your time in bed to 5 ¾ hours. If at the end of the second week your sleep efficiency is still above 85 percent, add 15 more minutes for a total of 6 hours in bed. And so on from week to week, until you find the maximum time you can spend in bed without your sleep efficiency falling below 85 (or 90) percent. This is your ideal sleep time, and, once you’ve found it, you stick with it. It’s not easy complying with such a rigid schedule, especially during the first week. I found it increasingly hard to keep myself awake until midnight, the bedtime I’d set. Passive activities like reading and watching movies led to nodding off early. So I switched to activities like folding clothes, rearranging cupboards, and walking around the house. Also, it was harder and harder to pull myself out of bed when the alarm rang at 5 a.m. For three days I walked around like a zombie, forgetting appointments and misplacing glasses and keys. But by the end of the first week, I was falling asleep the minute my head hit the pillow and sleeping right through the night—a major coup for me. Sleep restriction is just one among a handful of treatments you may undergo as part of cognitive-behavioral therapy (CBT) for insomnia. 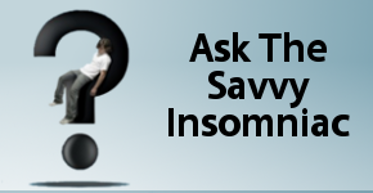 Three online programs offering CBT are CBT for Insomnia, Sleepio, and SHUTi. Check into one of these if you’re leery of trying sleep restriction on your own. Does sleep restriction sound like something you would try? Why or why not?